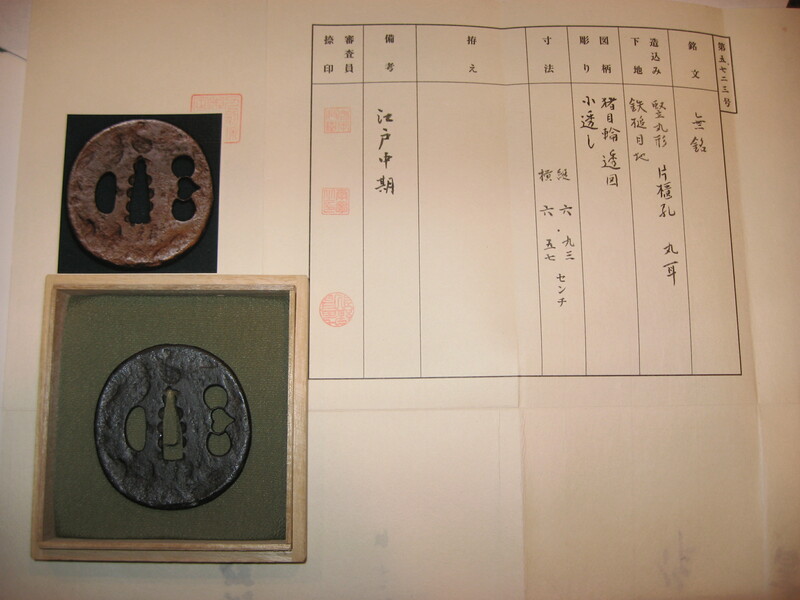 Saotome Tembo Tsuba with NTHK Kanteisho. 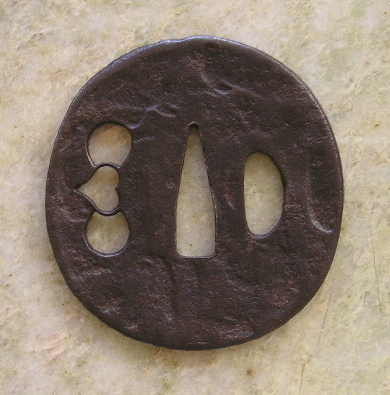 The Tembo style of using 'hot stamps' (Kokuin) was a Saotome original style used by Hoan, Heianjo, and Shoami schools. 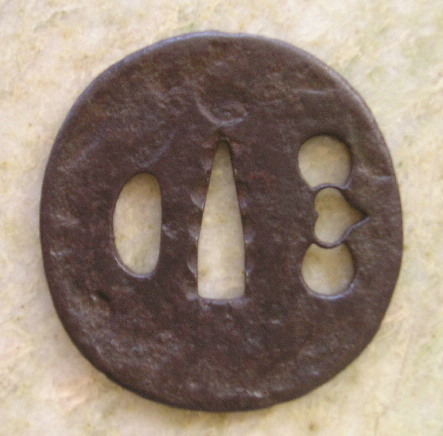 Tetsu-ji, well tempered ita-tsuba with ko-sukashi of boars eye across from kosuka-ana. Maru-gata shape with maru-mimi rim. 6.93cm x 6.57cm x 4.3mm.